Kellogg's Frosties were forbidden fruit when I was a child. I grew up with a constant longing for the sugary breakfast cereal, mainly because I was only allowed Sainsbury's own brand cornflakes or similar. Thanks Mum! 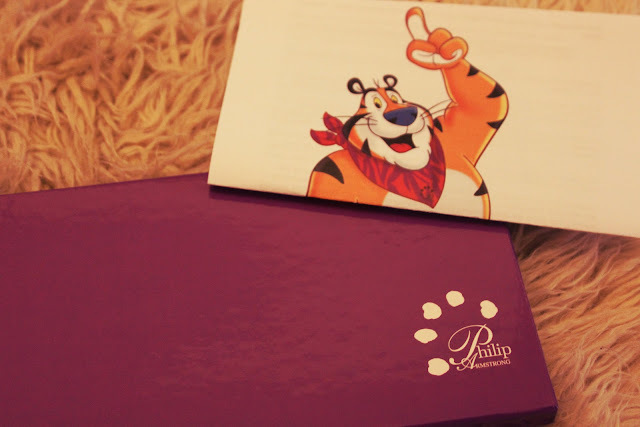 Well, Mr Tony the Tiger turned 60 years old this year! Now, he looks pretty cracking for his age but, to celebrate his diamond jubilee, he's undergone a little makeover. Philip Armstrong is better known for dressing ladies like Alesha Dixon and Ms Lady Gaga herself but he's responsible for TT's new animal print scarf. 500 of these limited edition scarves will be available to buy from 6pm on 2nd November (Friday! ), priced at £6.99. All proceeds from the sales will be donated to Fareshare food banks, to provide 12,000 breakfasts to hungry schoolchildren across the UK. 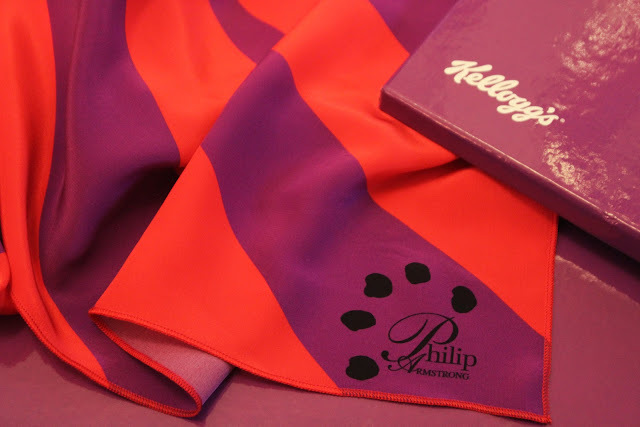 The scarves will be available from the Kellogg's pop up shop on eBay or you can like the Kellogg's page on Facebook for the chance to win one.